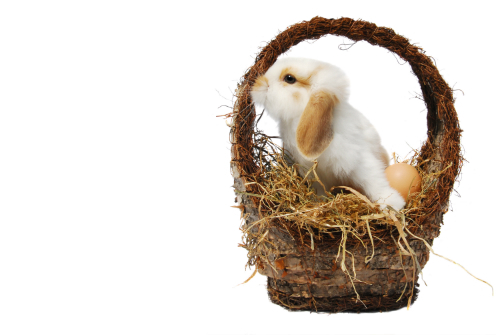 Home » Local » What are the best Easter 2019 events near Longview TX? Easter is approaching again, as it seems to do every year (fancy that!). To help squeeze some Easter fun into your life, we’ve compiled our favorite Easter events going down in the greater Longview area. Let’s take a look at what rabbit-fueled egg-searching silliness 2019 has up its sleeve. Our first event takes place out in Tyler. It’s a bit of a drive for us here in Longview, but it sounds like a lot of fun. This free egg hunt and bash starts promptly at 11, so don’t be late if you want to collect eggs. It’s recommended that guests bring a basket or bag for this purpose. In addition to the hunt, there will be other fun tidbits such as inflatables, a bounce house, barrel train, face painting, egg dying, snow cones, and food. This hunt out in Kilgore is at least closer to Longview. However, give them a call before going (at 903-984-2144) to confirm that the event is still on for this year and being held at the time listed above. They have held it in the past, and some detective work implies that it might be happening again, but if you’re interested, definitely give them a call before devoting your Saturday. Perhaps You’ve Been Wondering: Will General Motors Discontinue the Chevrolet Impala? Our final event is short but sweet. It only lasts thirty minutes, but 10,000 eggs will be on hand to collect. There is an entrance fee of $4.00 for adults, but children 12 and under are free. This annual hunt is a bit further out from Longview as well. If you go, try to arrive early to get a real good shot at collecting- thirty minutes is recommended to be on the safe side. Kids line up early, and the eggs get snagged quick. This entry was posted on Tuesday, April 9th, 2019 at 6:18 pm	and is filed under Local. You can follow any responses to this entry through the RSS 2.0 feed. You can skip to the end and leave a response. Pinging is currently not allowed.